Find below a selection of media articles featuring my work. I both write for the popular press and am happy to provide information about topics related to my research areas. Tomb Robbing, Perilous but Alluring, Makes Comeback in China. The New York Times. 15 Jul 2017. Hobby Lobby ignored ‘red flags’ about stolen Iraqi artifacts. PRI’s The World. 6 Jul 2017. Hobby Lobby’s $3 million smuggling case casts a cloud over the Museum of the Bible. The Washington Post. 6 Jul 2017. Grave Robbers with Far-Right Links Could Be Stealing Ancestral Māori Skulls. Vice. 18 May 2017. Online courses: your passport to a new career. The Guardian. 20 Jan 2017. Art detectives help bring back antiquities stolen from temples. AFP. 3 Jan 2017. Ownership questions trigger NGV action on antiquities. The Australian. 26 Oct 2016. Will Victims of Nazi Art Thieves Finally Get Justice? The Daily Beast, 17 Sep 2016. A Maya Codex Found in a Cave is Authentic, Researchers Say. Hyperallergic, 13 Sep 2016. Controversial Maya Codex is the Real Deal After All. Gizmodo. 11 Sep 2016. What is the Cost of Preserving the Past? Panellist. Newshour Extra, BBC World Service, 26 Aug 2016. Bolivia’s president wants to use an indigenous calendar, but are his motives genuine? PRI’s The World. 4 Jul 2016. Art crime expert Dr Donna Yates makes her research available free online in bid to help beat the thieves. The National. 2 June 2016. The Bloggers: how bloggers engage online audiences in the work of museums. Museums Journal. May 2016. Meet Dr Donna Yates, the expert aiming to make antiquities-collecting socially unacceptable. Herald. 25 April 2016. Protection of antiquities is a global issue. United Nations Radio. 30 March. The New York Times Tackles Cultural Infanticide, Riles Up Anthropologists In The Process. Forbes. 14 March. Cómo se roban la historia siria. El Espectador. 12 March. Returning the hatchet: Governments are starting to return treasures to their neighbours. The Economist. 12 March. Police praised for museum thefts investigation. Museums Journal. 2 March 2016. Gang may have stolen antiquities for Chinese market, says expert. The Guardian. 1 March 2016. Where it is safe to do so, cultural artefacts should be repatriated. The Economist. 23 February 2016. Looted: How global theft fuels trafficking, unrest & cultural control. Guernica. 28 January 2016. 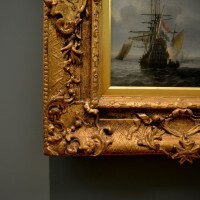 In the frame for a cutting-edge course on art theft. Evening Times. 27 January 2016. Framed: the new course that teaches you about art crime and antiquities trafficking. The Herald. 24 January 2016. Tomb Raiding is a Growing Problem in the Middle East. Vice. 21 January 2016. Broken System’ Allows ISIS to Profit From Looted Antiquities. The New York Times. 9 January 2016. The Gods are still leaving. The Kathmandu Post. 9 January 2016. Trafficking is neglected because people associate antiquities with Egypt, Greece, Rome. Only recently India. DNA India, 14 Oct 2016. Why should a court decide the authenticity of a living artist’s work? Apollo. 26 Aug 2016. Special Report: Tracking stolen goods. Current World Archaeology, February/March.